Brand New, 2nd Row Home on Private Beach! Free Pool Heat September- December! Free Pool Heat + Last minute Discounts on Brand New, 2nd Row Home on Private Beach! Perfect for large families but priced for smaller groups for a limited time! 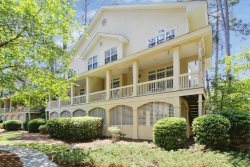 Just completed, this second row ocean home blends traditional coastal Carolina styling with charming high end details that guarantee a memorable beach vacation! The home is located directly across the street from a private neighborhood beach…that’s right, no crowds here and plenty of room to enjoy the surf, sand, and sun! Designed to take advantage of its fabulous location, 19 Sanddollar boasts 1200 square feet of covered outdoor living area on the ground floor. With two 52” TVs, a dining area and grill station, and plenty of room for fun and relaxation; this spot is sure to be a family favorite. Rinse away the sand from a perfect beach day in the full bath complete with private outdoor shower; and enjoy soaking and playing in the fantastic saltwater pool. The main floor features expansive covered porches where you can relax to the sound of the surf or sneak a peak at a perfect coastal sunset. Walls of windows invite the outside in, and a spacious open floor plan allows for comfortable family gatherings…the more, the merrier! The main floor living room offers loads of seating and a 65” TV and SONOS sound system for everyone to enjoy. The open dining room has an oversize custom dining table which seats 10. A large gourmet kitchen features stainless steel appliances including gas range, large pantry and coffee bar, and a massive 10 ft. island which seats four. Down the hall is a powder room and laundry room. Also on the main floor, you will find the first of two master suites, featuring a king bed, separate sitting area with 48” TV, large private bath with state of the art shower, and roomy walk-in closet. 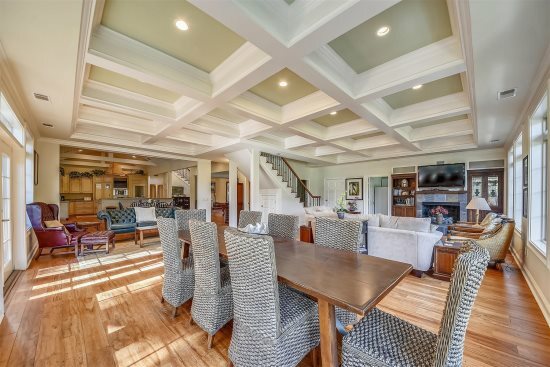 On the second floor, you’ll find a second living room/game room where family fun is foremost! With a 52” TV , huge selection of board games, and bumper pool table; this room provides a queen sleeper sofa and a coffee bar/drink station as well. Continue to relax in lowcountry luxury with an additional 800 sq. ft. of covered porches, complete with comfy chaise lounges and plenty of ocean breezes to savor…what a perfect spot to enjoy a good book or a quiet nap! The second floor master suite features a king bed, 52” TV, private bath, and large closet. Two additional bedrooms each contain two queen beds, allowing for a total of eight guests. A large hall bath features a triple vanity and private shower. The kids will go crazy over the bunk room, complete with two built-in twin bunks, large walk-in closet, and their own private bath. All additional bedrooms provide 48” TVs. This home features a two car garage with additional parking for approximately four cars. The pool will be heatable for a fee from October 1st through May 1st yearly. Folly Field Beach is located mid island only minutes from restaurants, shopping, mini golf, and the Shelter Cove marina. 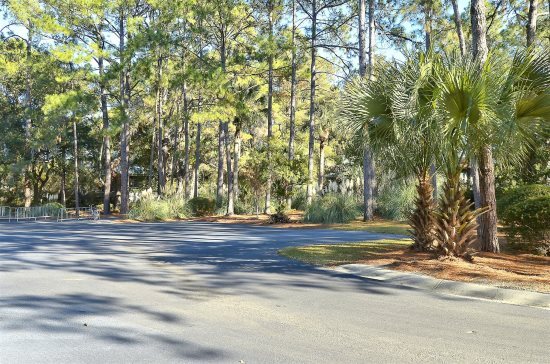 Known as a popular surfing spot for locals, Folly Field is close to Chaplin Community Park, miles of paved bike paths, and numerous golf courses/tennis facilities. Folly Field offers the same great white sandy beaches as Forest Beach but without all the people. With the beautiful Atlantic ocean, and marsh views you can wake up every morning listening to the waves and breathing in the salt air and with Shelter Coves Tuesday night firework show all summer long. Folly Field still offers the same great bike trails as the rest of Hilton Head Island and features on of the islands newest parks, Chaplin Park. The park offers Tennis courts, baseball and soccer fields, basketball courts, and even a dog park. This area of the Hilton Head Island features the best of both worlds and is one of our favorite spots on the island. Fantastic place for our family vacation, 4 couples and 3 grandsons. Close to beach, convenient location, terrific home!